Demolin, D. & Hombert, J.M. (eds), 1999, "The phonetics of the origin and evolution of speech", 3:1, John Benjamins, 103 p.
Hombert, J.M. & Eludge, B., 1975, "Nasals in Ghotuo: /lenis/ or short? ", in Nasalfest, Ferguson, C., Hyman, L. & Ohala, J. (eds), Project on Language Universals, Stanford University, Special Publi. 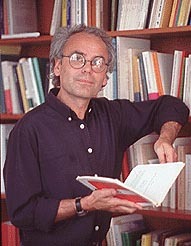 Hombert, J.M., 1990, "Réalisations tonales et contraintes segmentales en fang", proc. of 18èmes Journées d'étude sur la parole, Montréal, .